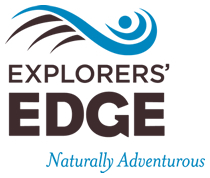 As part of its 2017-2018 Business & Operational Plan, Explorers’ Edge has undertaken the development of a 3-Year Product Development Strategy, which will in turn inform the Board’s creation of a new 3-Year Destination Development Plan later this fall. One of the first steps is to survey regional tourism business stakeholders about their observations around tangible product (activities) that are currently successful in attracting visitors, what needs to be improved, and which tangible products you would recommend for development to attract mass volumes of travellers. (Industry terminology around product varies greatly, so the questions in this survey purposely require only general responses). Thank you for taking a few minutes to fill out this quick survey – your assistance is invaluable to us.